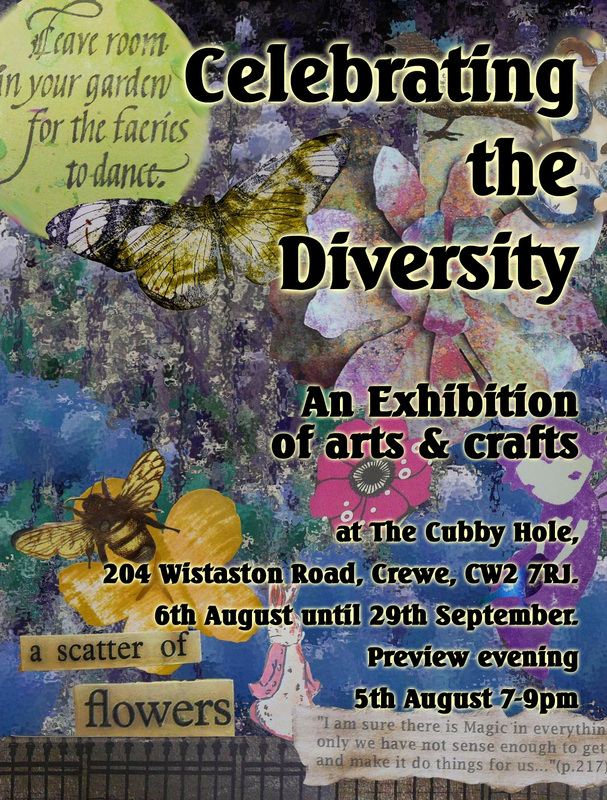 Our very own exhibition has it's preview on FRIDAY 5th AUGUST. We hope you'll come and support us OR better still, why don't you join in?? 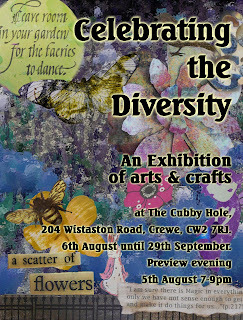 We will also be running some "Come & Create" - mini "make and take" workshops on Saturdays whilst the exhibition is on. Learn a new skill or update existing ones. Refreshments as usual. Dates and details will follow. However I do know that there will definitely be a pergamano make and take along with a workshop working with mirri card and the Cuttlebug. Look at these two fantastic scrolls by Chris M. When I first saw them all rolled up I loved them and didn't want to open them but just look what's inside - the beautiful oriental images and watermarked paper. Being a big fan of all things Gustav Klimy, I obviously loved Kristina's canvas panel. The rich jewel like colours are very striking against the white background.